Breakfast is by far my favourite meal of the day. Every morning I make sure to set aside enough time to eat my breakfast and enjoy a sip of coffee. I find that breakfast sets the tone for the rest of my day. If I can enjoy it without being rushed, and eat a yummy healthy meal- I will generally make better food choices for the rest of my day. 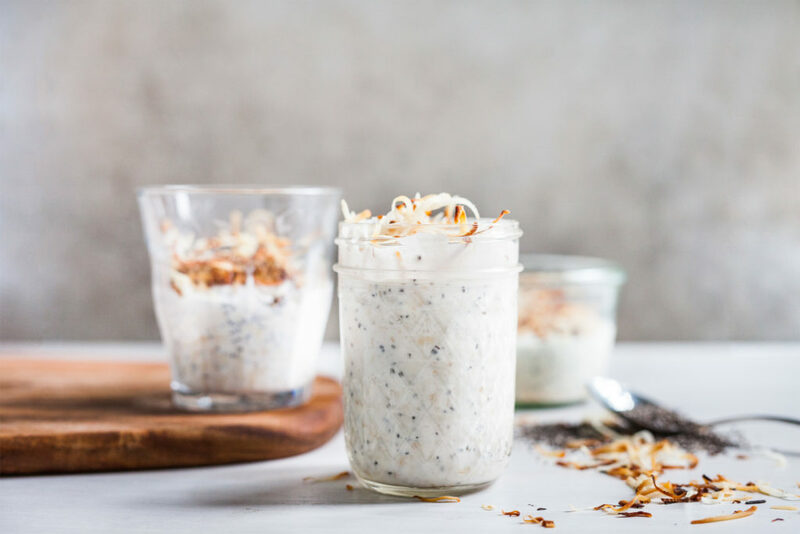 My first meal in the breakfast series is Roasted Coconut and Chia Overnight Oats. It is everything you are looking for in your breakfast: easy, nutritious, and tasty. I would suggest making enough for the week on Sunday, so you can just “grab and go” during your busy mornings. Heat coconut oil on pan, and roast coconut flakes until slightly browned. 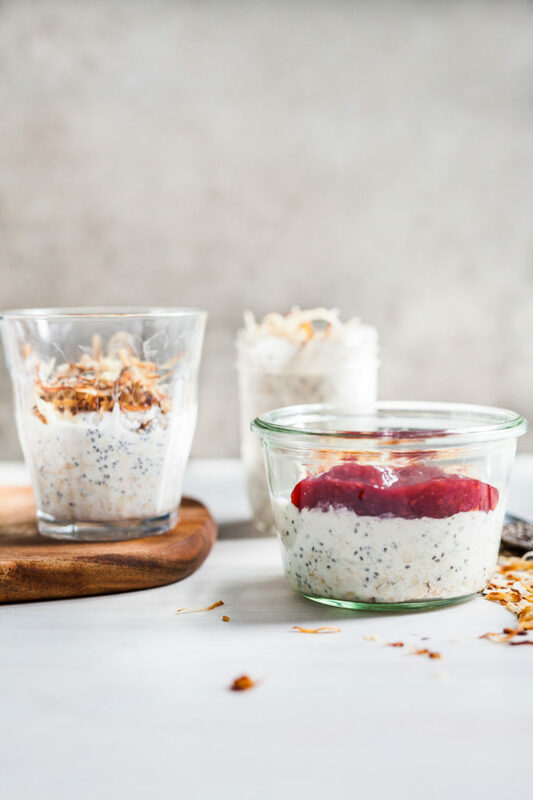 In a mason jar, add oats, stevia and chia seeds. Add almond milk to the mason jar, and stir well. 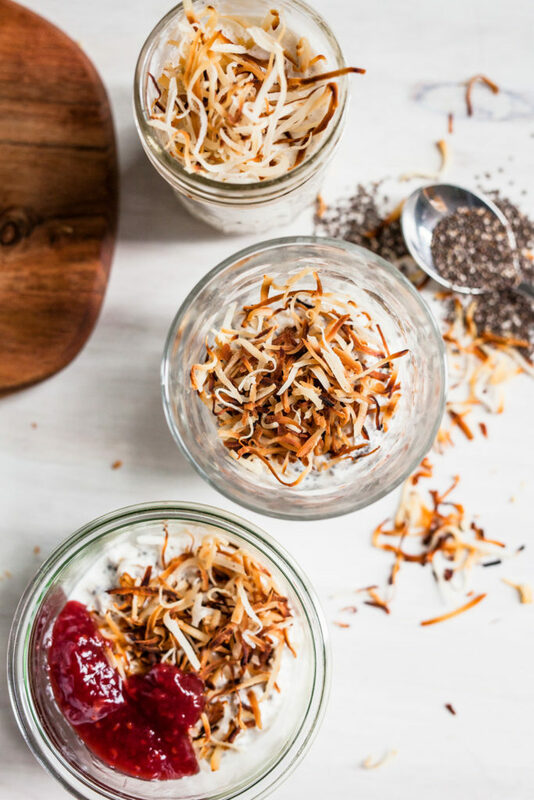 Leave mason jar in the fridge overnight or for 2 or more hours, and then serve with roasted coconut flakes or added sugar free jam (to add sweetness).